Watching Maxwell Reis tend bar at Gracias Madre is a beautiful thing to experience. And that is exactly what the West Hollywood plant-based Mexican restaurant is striving for: a full-on mindfully crafted culinary experience. Led by the creative vision of beverage director Jason Eisner, Reis has had the opportunity to explore and expand upon a multitude of bartending principles. At Gracias Madre, the craft cocktail movement is elevated to another level thanks to the benefits of California’s year-round sunshine, which allows for an organic beverage program that is both vegan and agave-based. In the same vein as the artful dishes that grace the restaurant’s menu, the thoughtfully made spirits are created with the best seasonal produce, as well as a top-notch selection of tequilas and mezcals from Mexico and Central America. Reis has created quite a few of the signature specials on the drink program, including the ‘Mexican Fruit Stand-Off’ and ‘The Local Botanica’. The ‘So Fresa So Clean’, which Reis names his favorite cocktail to make, garnished with a single rose petal, is quite the crowd-pleaser: “Nothing beats seeing a bartender run your drink through a strainer of fresh produce!” When describing his creative process, Reis says deciding on the primary alcohol should come last. The main focus is always on the produce. That attention to detail and mindfulness of pairings comes through in the final presentation. 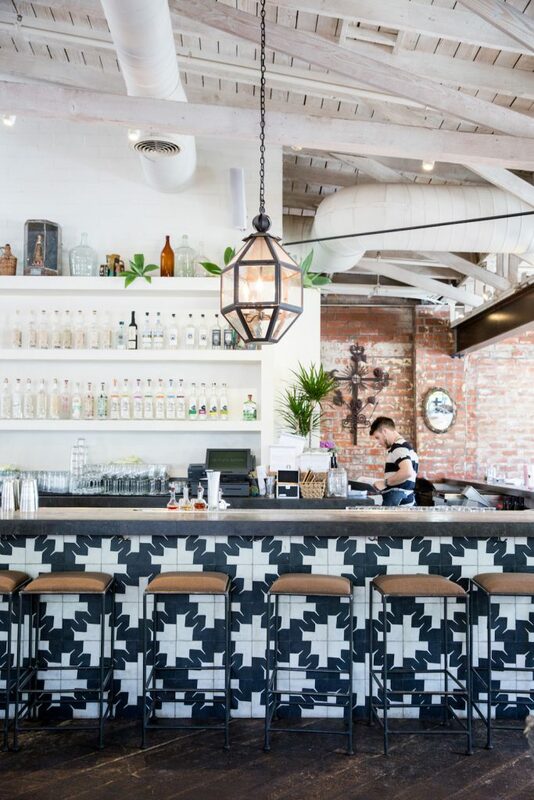 While dining at Gracias Madre among such high profile clientele as Beyoncé or Silicon Valley’s Martin Starr, you might glimpse a visually pleasing spirit on its way to the patio– the edible flower not merely decoration, but the last vital ingredient in a carefully executed recipe. Reis comments on how one might think a 100% vegan and agave based menu might be somewhat restrictive, but says it more so nurtures creativity than anything. By seemingly limiting themselves to a strictly produce-based menu, the possibilities at Gracias Madre have become limitless. Stop in now to witness the culinary spice and inventiveness. ‘So Fresa So Clean’- Strawberry, Rosewater, Lemon, Aquafaba, Tequila Blanco, Cachaca. ‘The Local Botanica’- Cucumber, Mint, Micro-Cilantro, Sugar Snap Pea, Bell Pepper, Jalapeno, Lime, Agave, Green Chartreuse, Yellow Chartreuse, Mezcal.